Gov. Mike DeWine and his wife, Francis. Ohio’s incoming Republican state officeholders are being showered in gifts, cash, food and drink to celebrate their 2018 election victories and get their start of the 2019 legislative term off ‘in the right direction’, all courtesy of Ohio’s biggest telecommunications and for-profit utility companies. It’s the perfect opportunity for powerful state lobbyists to introduce themselves and get their feet in the doors of the incoming Republican officeholders that dominate the governor’s office and state legislature. At least $1.7 million in gifts and cash were directed to incoming Gov. Mike DeWine and his running mate, Lt. Gov. Jon Husted alone. Some familiar companies donated the maximum $10,000 apiece to the DeWine-Husted Transition Fund, a special set-aside account to cover inauguration activities and allow incoming politicians to count stacks of $100 bills. AT&T and Charter Communications — the dominant phone and cable companies in Ohio — each maxed out their contributions just before DeWine announced a new industry-friendly appointment to the Public Utilities Commission of Ohio (PUCO) and prepares the 2019 budget for the Consumers’ Counsel, an underfunded state office that represents the interests of Ohio consumers dealing with problem utilities, phone, and cable companies. 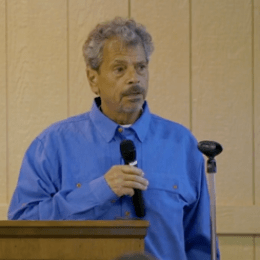 DeWine did not disappoint his corporate benefactors, this week announcing the appointment of Samuel Randazzo, a retired lawyer with a 40 year history of representing the interests of utility companies, as the newest commissioner at PUCO. Randazzo has a long record of opposing utility mandates or regulations that interfere with the industry’s ability to generate profits, and is expected to be one of the friendliest regulators for utility companies in recent Ohio memory. Where did DeWine get Randazzo’s name? Scott Elisar, an attorney in Randazzo’s former law firm, was also a member of the nominating council that presented the list of four candidates for DeWine to consider for the PUCO position. Consumer groups are also concerned that DeWine will soon appoint another member of the Commission after current PUCO Chairman Asim Haque leaves on March 1 to pursue a new job opportunity. “We recommend that [his] seat be filled with a bona fide representative of residential consumers, especially considering that the current PUCO commissioners include two former utility representatives,” a statement from the Office of the Ohio Consumers Counsel said this week. Other newly elected officials are also getting a taste of the action, with donor contributions limited to $2,500 each. Considering the number of special interests writing checks this year, several members of DeWine’s administration are also enjoying considerable free cash, despite the contributions limit: Attorney General David Yost of Columbus, $33,500; state Auditor Keith Faber of Celina, $29,000; Secretary of State Frank LaRose of Hudson, $30,500; and state Treasurer Robert Sprague of Findlay, $15,000. An early test of what corporate influence can buy from Ohio legislators suggests it does not cost very much to participate in “pay for play” politics. FirstEnergy Solutions, Ohio’s bankrupt utility that reported “massive financial problems” last spring, still managed to scrape together $172,000 in campaign contributions for Ohio House candidates — mostly Republican, and another $565,000 for the Republican Governors Association during the 2018 election. FirstEnergy spent much of last year lobbying the legislature to stick ratepayers with a $30 annual rate increase to bail out some of its unprofitable power generation facilities. It failed, along with a more comprehensive proposed corporate bailout package worth $2.5 billion. 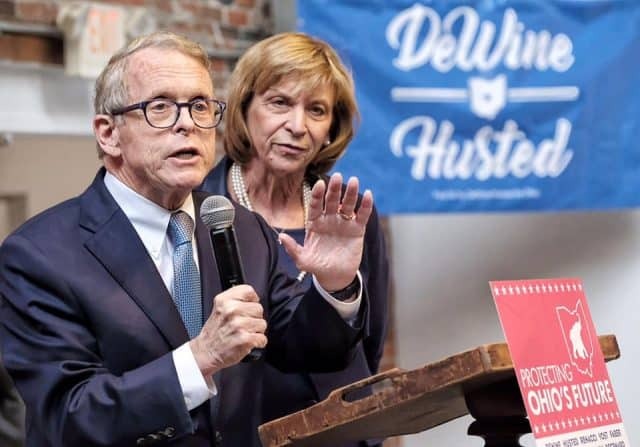 FirstEnergy became one of DeWine’s biggest supporters in his race for governor. DeWine, in turn, has signaled his support for the FirstEnergy bailout rejected last year. That could explain why DeWine received five times more money in contributions from the utility than his Democratic opponent. On the first day of Ohio’s new 2019 legislative session, by sheer coincidence, the General Assembly announced a new standing committee on power generation, which will have the authority to approve a new bailout package for the troubled utility. FirstEnergy also announced it was abandoning some of its more costly energy producing facilities. Decommissioning costs will likely be financed by new surcharges on Ohio residential and business customer utility bills. “Consumers’ Counsel, an underfunded state office that represents the interests of Ohio consumers dealing with problem… cable companies.” Nope. All that remains of cable regulation in Ohio since 2007 is a tiny rubber-stamp Video Services office in the Department of Commerce, and the Office of Consumers Counsel has nothing to do with it. Also, the PUCO is explicitly barred from asserting jurisdiction over any aspect of IP-based services. So whatever AT&T and Charter hope to gain from throwing money at DeWine — other than marginal changes in what’s left of POTS — will not be happening at the PUCO. Now, First Energy — that’s a whole other deal.